If your urine turns foamy, resembling the foam when you scramble eggs, then, it is a clear sign that you have protein in your urine. In fact, it takes longer to flush that urine and it leaves you feeling sick. Incidentally, the protein found in urine is the same as the one found in eggs known as albumin. The lack of calcium and phosphorus in the body leads to muscle cramps which can be intense. Also, the calcium that is absent in the body is a direct result of the kidneys not cleansing and maintaining the balance of it. According to surveys and reports, kidney damage can lead to a foul taste in the mouth, along with bad breath. This is because of uremia, or the waste in blood, which starts to increase. This leads to weight loss as you don’t want to eat anything. The most common diagnosis of kidney damage is stones that occur in the kidney itself. These stones are basically mineral clumps that cluster together and move around in the kidney. If they get big enough, they hurt while peeing. But if it is tiny, it can pass off quickly, without causing any pain. 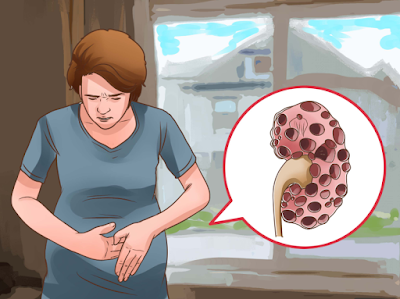 Kidney damage can lead to infections as the bacteria passes from the urinary tract to the kidney and vice versa. It can lead to fever or puking or intense burning sensation in the groin. These need to be diagnosed immediately. High blood pressure can also be one of the reasons that lead to kidney damage. In the event of HBP, blood flows very quickly and forcefully through the blood vessels. If left untreated, this increased blood pressure can lead to kidney tissue damage. Diabetes leads to high levels of sugar in the blood, which, if left untreated, can damage the kidneys along with other body parts. The best way to take care of this is to pay your doctor a visit. There is no need to take a risk when it can be easily solved.